Human error causes about 94 percent of car crashes, a statistic that is cited very often in many calls for driverless cars. Sometimes, the human error is a one-off mistake that had tragic consequences, sometimes simple negligence is involved, and sometimes the tortfeasor (negligent driver) intentionally disregarded a known risk and thereby endangered the property and safety of others. It is up to a jury to draw the line between these categories. In court, victim/plaintiffs must establish negligence by a preponderance of the evidence (more likely than not), so the standard of proof is fairly low. 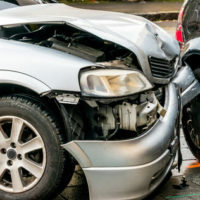 As a result, damages in car crash cases are usually significant. In fact, if the victim sustained a serious injury, the tortfeasor is liable for medical bills and other economic losses, as well as pain and suffering and other noneconomic losses. Excessive velocity is a factor in about a third of the fatal car crashes in Florida. Typically, when it comes to assessing speed-related negligence, jurors are like police officers. As a rough rule of thumb, 1-5mph over the limit is not very dangerous, 5-20mph over the limit is almost always simple negligence, and anything above 20mph over the limit represents a clearly unreasonable risk. In this latter category, victim/plaintiffs may also be entitled to additional punitive damages. Speed is so dangerous because it increases both the risk and results of a collision. In terms of risk, velocity multiples stopping distance, so speeding drivers are usually unable to avoid oncoming hazards. At 40mph, most cars travel about nine car lengths in the time it takes the drivers to safely stop. At 60mph, stopping distance doubles to eighteen car lengths. Furthermore, according to Newton’s second law of gravity, speed multiples the force in collisions, so non-injury dust-ups become serious injury collisions. Despite a decades-long drunk driving crackdown that has seen both aggressive law enforcement tactics and stricter laws, alcohol still accounts for about a third of the fatal car crashes in this state. Once again, there is something of a negligence hierarchy, but there are usually only two categories. Since impairment starts with the first drink, there is no safe level of alcohol consumption. As for the second level, if the tortfeasor had a high BAC or prior DUI-related convictions, punitive damages may be appropriate. Alcohol slows physical reaction time, impairs judgment ability, and inhibits the ability to concentrate. All three of these skills must be at 100 percent for people to safely operate motor vehicles. Visual (taking one’s eye off the road). Distraction comes in many other forms as well, such as eating while driving, rolling down the window, and talking to passengers. It is up to a jury to decide what constitutes benign behavior, what constitutes simple negligence, and what constitutes callous disregard for safety. We all make mistakes and we are all accountable for the results of those mistakes. For a free consultation with an experienced personal injury lawyer in Brandon, contact Reed & Reed.